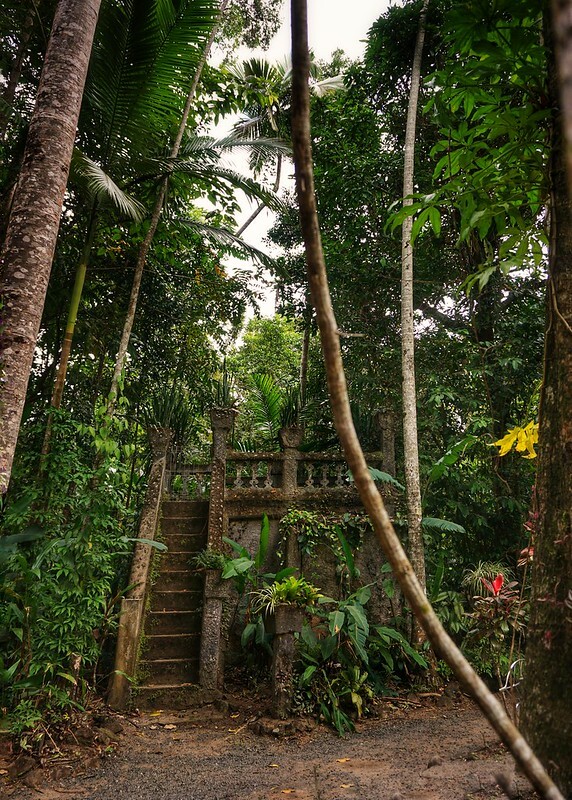 It’s probably the closest thing to a real-life fairytale I’ve ever encountered, and it takes place in the middle of the rainforest in Far North Queensland, Australia. Our starting point is an unexpected location, though. We pull into a tarmac car park beside the highway where white cars shimmer in the heat and walk beneath a row of metal letters, their edges slightly crumbling with rust. We keep on going down a small dirt track, letting the tree branches knit themselves closer and closer together as we step deeper inside the forest. The sounds of the outside world fade away: car engines and human chatter replaced by bird calls and the breeze moving through the leaves. At the edge of a clearing is a giant waterfall cascading over soft rock and splashing to a lake below. 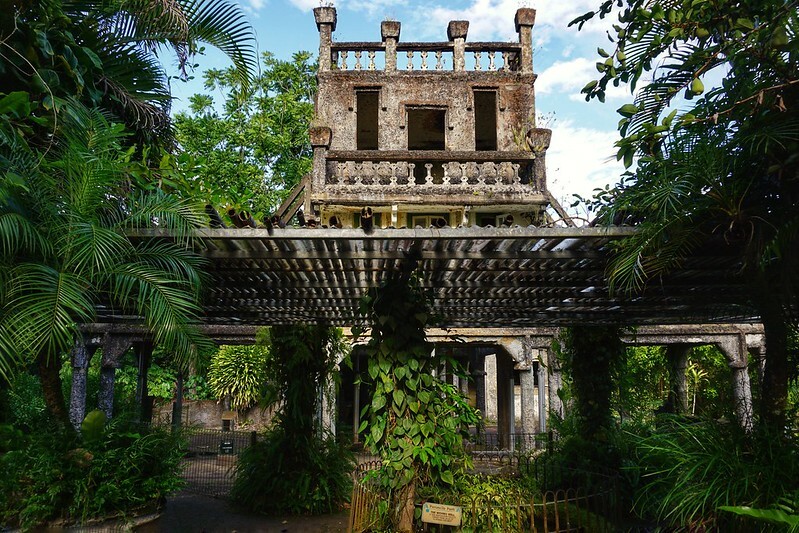 We’ve found the centrepiece of Paronella Park – the ruins of a castle built almost a hundred years ago, which have lain abandoned for half that time. But now the castle is coming back to life. In 1925, a young Spaniard named Jose Paronella arrived in Australia. It was his second visit to the continent, and he’d decided to start a new life in Queensland along with his new bride, Margarita. Back in his Spanish homeland Jose had originally trained as a pastry chef, but during three years spent working in Australia he’d become a wealthy man. Now Jose was planning to recreate a dream he’d had since childhood. Thanks to countless stories his grandmother told him about Spanish history, Jose had decided to build a replica of Spain in Queensland: his own recreation of a Spanish castle for other people to enjoy. 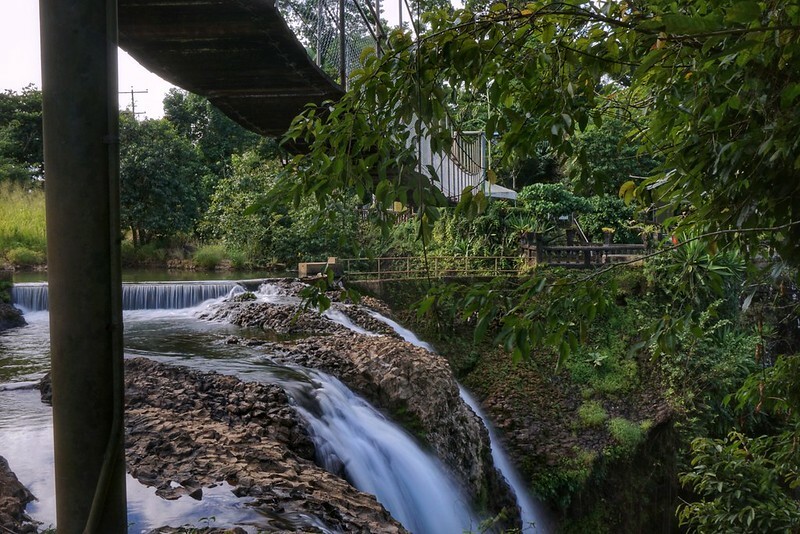 Despite having little experience in construction, Jose Paronella bought five hectares of virgin land at Mena Creek Falls – much of it covered in a tangle of trees and vines – and began to build. The resulting structures which sprang up were not just his dream castle, but also botanical gardens and tennis courts, a cafe and a grand staircase, and even a ballroom which doubled up as a theatre and cinema. 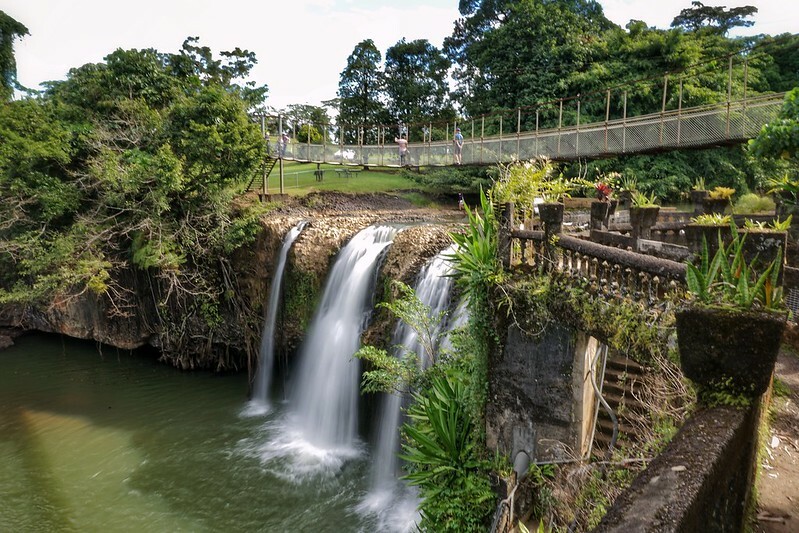 Because the famous Mena Creek waterfall provided ample opportunity for swimming, Jose built picnic tables on the ground beside it along with diving platforms, a toilet block and a set of changing cubicles nearby (which guests could pay to use!). If you haven’t already realised, this man was one hell of an entrepreneur. Before long the park had attracted curious visitors. 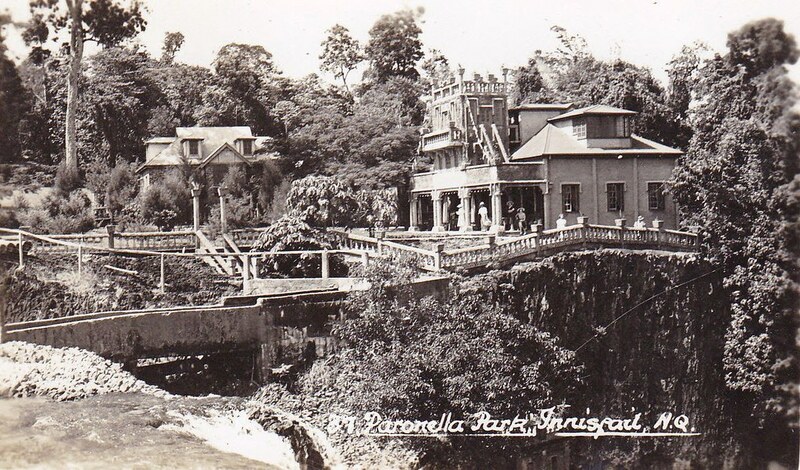 Paronella became known as the Pleasure Gardens of Cairns, and each week there were groups of people eager to ride boats around the lake, swim beneath the water falls, and dress up on weekend evenings for dances, movies and music concerts under the stars. Jump forward almost a hundred years though, and today’s lost world of Paronella looks quite different to Jose’s initial dream. 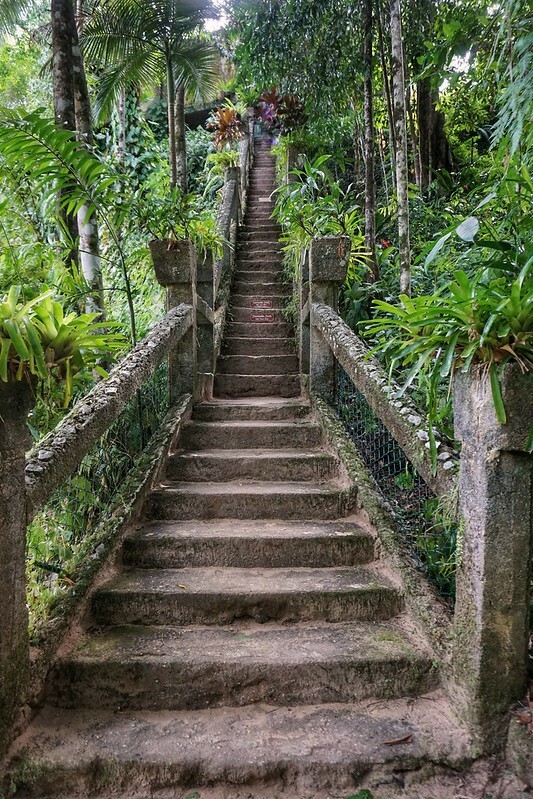 Now the sloping pathways lead past thundering falls and toward a steep flight of narrow stairs, their bannisters covered with ivy and twisting vines. At their base are heavy stone tables, some of them cracked and most covered with layers of spongy moss. It’s almost too easy to imagine plates and picnic baskets laid out on top; and if I squint at the falls beyond I can half-see a rowing boat filled with excited guests. 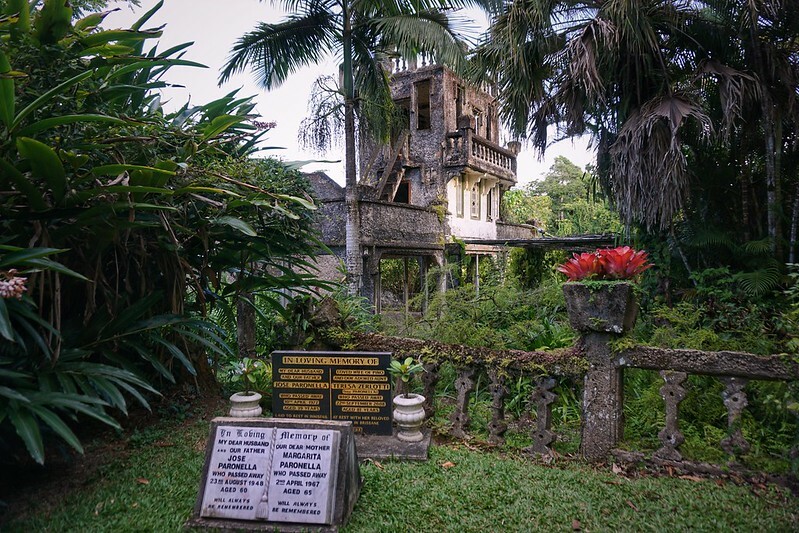 It’s as if the ghostly guests of Paronella Park’s past are still just around the corner. As we wander further through Paronella Park, I begin to see this place as more than just a set of abandoned ruins. 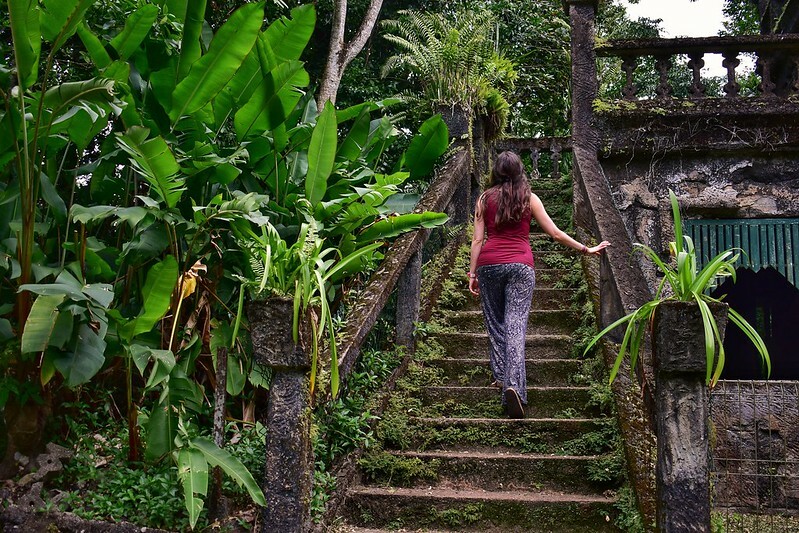 Of course there’s something undeniably magical about discovering a lost jungle world– particularly when it looks like a modern-day Angkor Wat – but the human touch here is undeniable too. Our guide tells us that the Grand Staircase was actually used as the main thoroughfare to carry countless bags of sand and cement around the site. I skim my fingers over the rough surfaces of the bannisters and balustrades, all of which are covered in fingermarks from Jose’s own hands. I start imagining Jose Paronella himself, valiantly striding through tree-lined pathways as he planned out his legacy. An extremely ambitious man, Jose seemingly always had a new invention in mind: everything from creating a hydro-electric plant to power the park to attempting an underground aquarium by slotting fishtanks into earth walls he carved out of a tunnel – and when that failed, he used the humid earth to grow mushrooms instead. 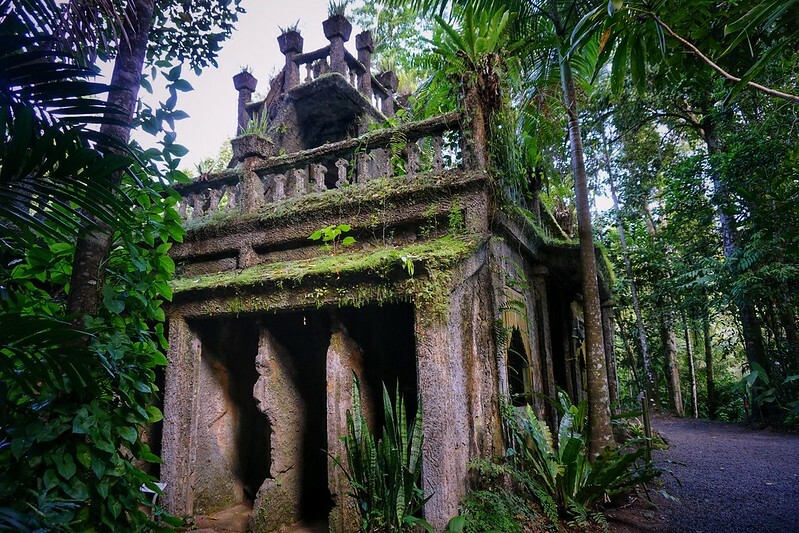 When word spread about the crazy Spaniard building a castle in Queensland, a local municipal department even gifted Paronella Park with thousands of exotic and native plants, including hundreds of Kauri trees which can live for two thousand years. Although he must have planted them with the knowledge that he’d never actually see them grow, Jose seemed certain that his park would live on despite him – and he was absolutely right. Jose sadly died from cancer in 1948, and after the park changed hands a few times it eventually fell into disrepair. The jungle began to reclaim it. For almost thirty years Paronella was forgotten, until a Perth-based couple named Mark and Judy Evans came looking to buy a caravan park. The estate agent suggested a small piece of land which included some castle ruins hidden in the tangled undergrowth – and just like that, Mark and Judy found themselves the new owners of a lost civilisation. When they realised how incredible this place was, the couple came up with a plan to restore the park to its former glory in whatever way they could. The paths have been cleared and the gardens reconstructed; the family’s cottage has become a museum filled with artefacts and memorabilia; and the park is becoming a popular wedding venue. The only thing missing from the restoration was history, as the Evans’ didn’t know what stories the park could still be hiding from them. Everyone they asked said that the park’s original owners had all disappeared – until one day, when an old lady arrived at the gates. Thanks to Teresa filling in the gaps, Mark and Judy were able to begin constructing a mental picture of the people who built Paronella Park. Despite the restorations, Paronella is sadly still extremely vulnerable. 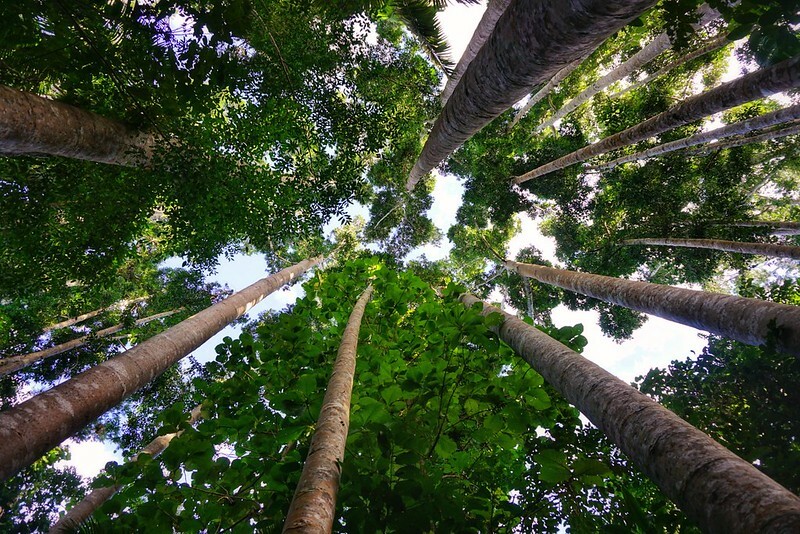 The landscape which Jose chose is built on a cliff, and the propensity for cyclones and flooding in Far North Queensland means there’s always a danger of nature wreaking havoc on the park. In 1946, it was flooded by thirty feet of water and was precipitous in the park’s eventual closing by Jose Paronella; and since Mark and Judy resurrected Paronella in 1993 there have already been three separate cyclones which have knocked down walls, taken off roofs and threatened them with extreme flooding yet again. The entire park is powered by nature, and despite the resulting beauty it’s also extremely likely that everything could vanish tomorrow. What’s fascinating though is how different generations view and experience this place. 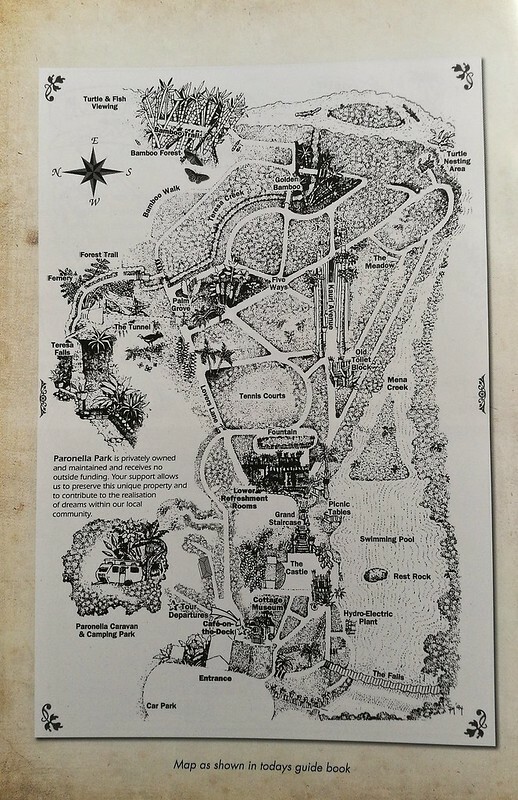 Jose had initially envisaged Paronella Park as a well-kept set of gardens complete with outdoor entertainment, yet by the start of the 1960s people had TVs and their own local cinemas which meant the park’s visitor numbers started to drop. Strangely enough, allowing the forest to take over the park for a few decades has meant a resurgence in tourism. Nowadays this part of Far North Queensland is attracting visitors precisely because it’s a lost, forgotten place to be explored. 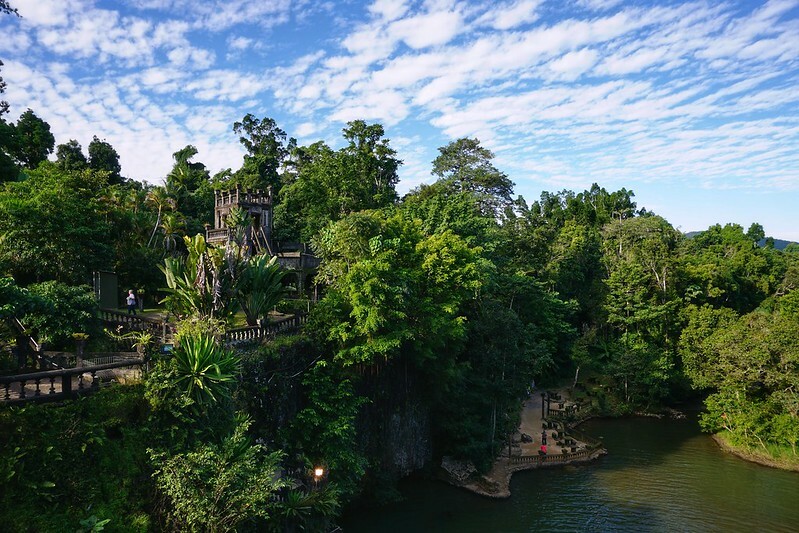 Australia’s very own Angkor Wat. 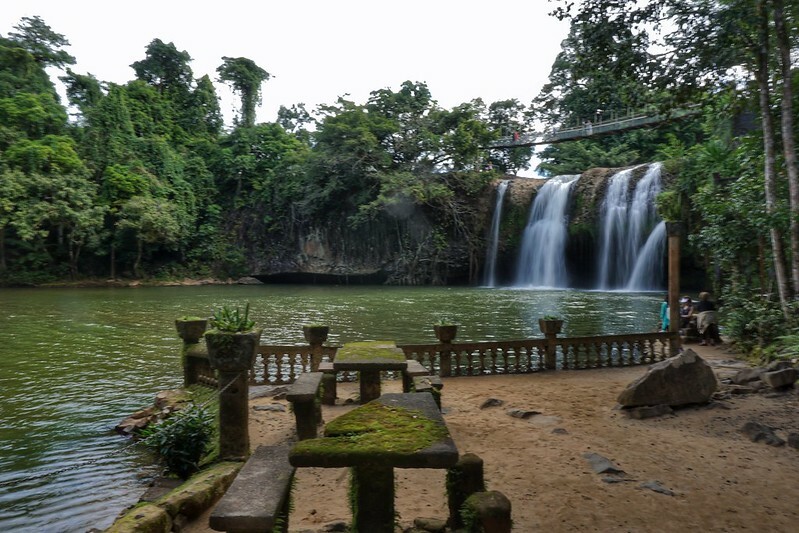 Jose might not have expected his park to end up exactly like this, but his dream to create a place of magic in the rainforest has stood the test of time. 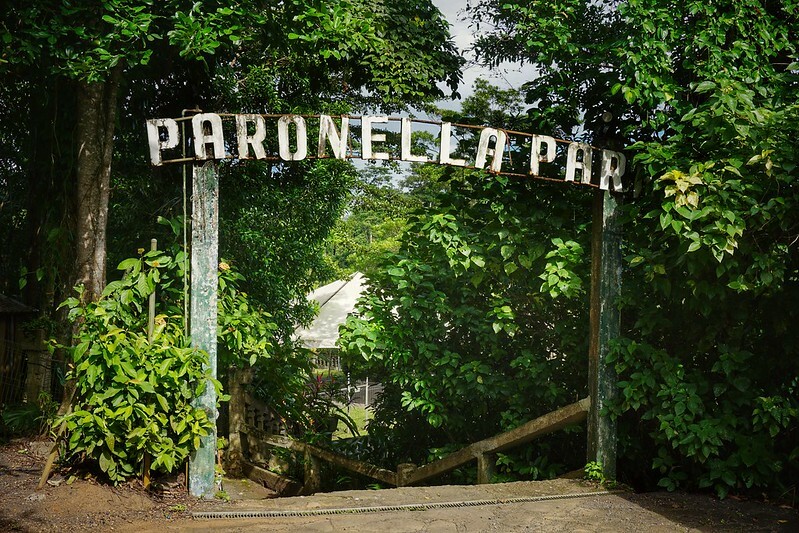 I’m still amazed that more people don’t know about Paronella Park. Then again, there’s something rather special about it remaining a secret. Q: My husband and I will be traveling for 18 days in Ecuador. We are both seniors (over 62) and in generally good health also Jual Suplmen Fitness. Do you know of any altitude medication or have suggestions for problems with altitude? A: Altitude sickness is due to a reduction in oxygen. Symptoms include rapid breathing and heartbeat, headache, dehydration, loss of appetite, vomiting, stumbling, and unusual fatigue when walking. · Avoid rapid ascents to high altitudes by airplane. Give yourself time to acclimate at gradually increasing altitudes. Spend about two days getting 10,000 ft (3050m) and avoid overexertion during these initial days. · Don’t take narcotics or sedatives above 8000 ft (2450m). Drink lots of fluids and eat a low salt diet with Jual Suplemen Murah suplemenmurah.net Suplemen Fitness. · Wear appropriately warm clothing to avoid hypothermia. · If you have symptoms of altitude illness descend. Taking acetazolamide (Diamox) 125mg twice a day can speed acclimatization for those going to 10,000 ft (3050m) rapidly and for those with past altitude problems. Start taking it a day before ascending and continue taking it for 3 to 5 days. If you choose not to use acetazolamide for prevention, carry some with you to use if you do develop altitude illness. Don’t take it if you are allergic to sulfa drugs. Ask your doctor for prescription, and consider trying it out at home first to make sure you don’t have a negative reaction to it. Q: Will I get side effects from altitude pills? A: When you take acetazolamide, you may urinate more frequently and have sensations of numbness. Nausea and impotence are less common. It can also affect the taste of carbonated beverages. Q: Can altitude illness be dangerous? · Acute mountain sickness. This can occur at 6,500 ft (2000m). · High altitude pulmonary edema Jual Suplemen Fitness(HAPE). With this stage of altitude sickness, water builds up in the lungs. One to two percent of travelers to 12,000 ft (3050m) develop HAPE; the morality rate is high. · High altitude cerebral edema, or swelling of the brain. This is rare below 10,000 ft (3050 m) but can be fatal in 24 hours. At high altitude, if you or your companion suddenly develops mental confusion, acts irrationally, has trouble with balance, or has significant difficulty breathing, descend immediately. Q: I have a friend that is 2 months pregnant who wants to visit Cusco and La Paz, 3300m and 3600m elevations respectively. Will a 5-day trip to this altitude damage the fetus? A: There haven’t been any studies on pregnant women traveling to higher altitudes. However, it is known that pregnant women who reside at high altitudes have more problems with irregular blood pressure and have fetuses that haven’t grown as well as expected. Some experts recommend limiting 1st trimester travel to 8000ft (2450m), which means your friend should avoid Cusco and La Paz. Q: Any problems with taking birth control pills at higher altitudes? A: Yes. At any altitude, the estrogen in birth control pills slightly increases the risk of blood clots. Theoretically, if you take the pill at high altitudes, there’s an increased risk of blood clots, including fatal clots that enter your lungs. Some experts suggest that you should use alternative forms of birth control above 10,000 ft (3050 m). Please discuss these issues with your doctor before you leave. Q: Is altitude dangerous for my kids? A: Young children may be more susceptible to altitude illness. To be on the safe side, descend if you your children show even vague symptoms of altitude sickness. Nevertheless, young children have been taken to over 15,000 ft (4570 m) without problems. Drugs for altitude illness prevention or treatment haven’t been tested for kids, so they’re generally not used. A: An internet site with good information is www.princeton.edu/~oa/altitude.html. Additionally, The Travel & Tropical Medical Manual by Drs. Elaine D. Jong &Russell McMullen has a chapter on altitude illness. Always consult your doctor to apply information to your individual case and to get the necessary prescriptions.